Grandpa is your modern day "Back to the Future" inventor with his top-secret time machine. His mischevious grandson Tim and his friends have decided to test Grandpa Albert`s invention. 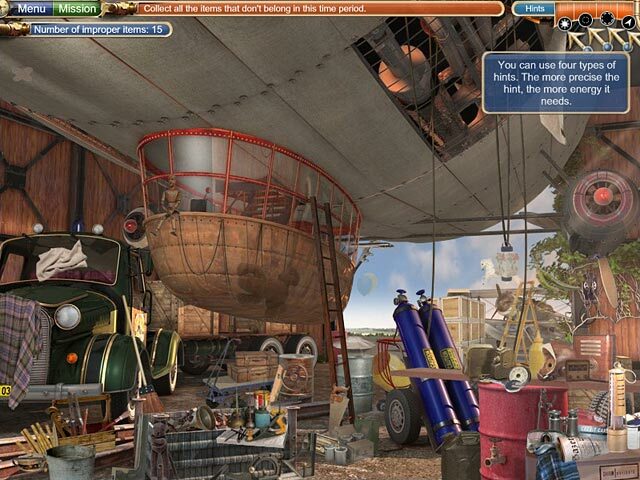 Travel back in time and help the family collect their missing kids using a Gadget Assembly Screen. Pinpoint out-of-place objects (like a gamepad and joystick) in each historical location such as the Beaches of Troy in 1275 BC. The Clumsys may not be coordinated, but they're determined to have family bonding time in this Hidden Object voyage. 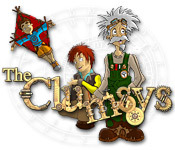 The Clumsys is rated 3.2 out of 5 by 9. Rated 5 out of 5 by 49er from Lighthearted storyline with bright, clear graphics This is my favorite HO game of all time, I think. I get depressed with the dark, sinister story lines with distracting text conversations taking too long to read when I would rather be playing, and game play that is so difficult that my brain feels twisted into a knot. "The Clumsys" has a light tone, with cute story and bright, clear graphics, and is challenging enough to hold my interest without frustrating me to the point of throwing my computer out the window. Games should be FUN and this one is! Rated 4 out of 5 by grandmacathy from Different type of Hidden Object game I really enjoy Hidden Object games, but some of the newer ones with all the multiple trips back and forth to the same locations can be tiresome. So playing this game with its straight-forward goals of finding the mislaid items and missing kids with the time machine is refreshing. It's rather easy but not juvenile. I like the cartoon type of graphics, too. A cute, fun game. Rated 4 out of 5 by rosekaufmann from KIDS WOULD LOVE THIS ECCENTRIC GRANDFATHER A cute game. Kids would enjoy playing it. I myself don't love the grandfather's voice (although it is okay), but I think kids would like it - it has a sort of eccentric grandfatherly tone used when amusing the young'uns. There is a lot of attention to detail in creating the objects and the color palette is very nice - bright and charming. Objects are not too difficult to find and you have 4 choices of help should you have problems finding that last object or two. I'm torn between 3 and 4 stars. For me, I would give it 3 stars but that might be unfair as kids would more likely rate it 4 stars. 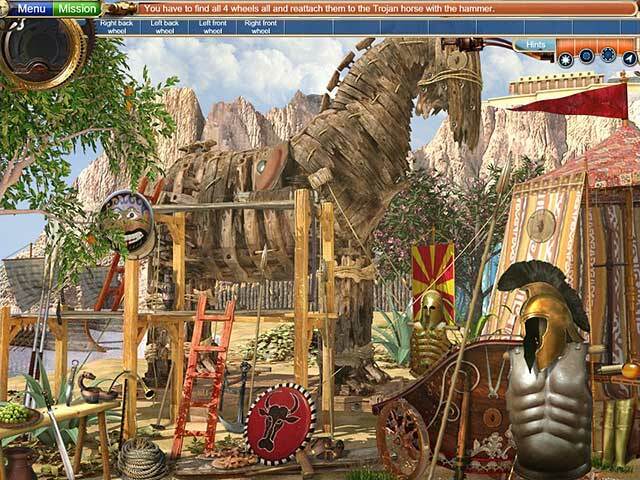 It is entertaining and you can learn a little history along with playing. So I'll give it 4 stars. I would buy it as a DD for myself (I have the butterfly effect, which is very similar). Rated 3 out of 5 by nelliebj from Not for me Not a bad game just not for me. The objects were very difficult to find and some in the scene that should not have been there for that time period were not included. Then there is the hint button. First time, I thought I might have missed the hint so I waited for it to reload and clicked it again. Still no hint. It is either so fast that my eyes couldn't keep up or it simply doesn't work. I think the latter since I tried it a third time, with another person watching and absolutely nothing happened. No buy for me. Rated 3 out of 5 by panjee from Heaps to do in different time zones This is a different kind of HO and Adventure game. You move from different time zones and have numerous tasks to complete in each time zone. If you enjoy one HO scene after another you might enjoy this one. Be warned you need to go back over and over to the same location for different tasks : The first task is to look for look for objects that do not belong in that time zone (i.e. Electric guitar during the Trojan horse era) The number of items you need to find are given in the top left hand corner. Second visit: you need to find HO and put back the items where it used to be during your first visit. A good memory would serve you well here. Third visit: another task is looking for set number of items (ie. four wheels) Then and only then do you move to a different location. If you do not like going to repetitive locations this might get boring. You also look for parts of the time machine that you need to reassemble. Also need to look for the missing kids lost in different time zones. Heaps to do in one time zone and there are lots of time zones. So this could be one long game. I do not like going back to the same location several times so this is a no buy for me. Another negative factor is that some items are too small and difficult to find. I played 30 minutes but that was all my poor eyes could stand. I kept squinting and for that reason the game got tedious. Heaps to do and explore and lots of HOS. If you enjoy a challenge give this a go. Rated 3 out of 5 by mrm2006 from Would if I could I found this game far too challenging for me. I understood the storyline but the instructions to "find the items that don't belong" were a big too vague. I have played another game similar to this - don't know if I'm allowed to give the name even though it's a bigfish game, and had a blast. The settings were too dark and I could barely find anything. Once I did though, putting the machines together was a breeze. Still, it gives the impression of cutesieness and fun but is actually rather difficult. Not for me. Rated 2 out of 5 by foreignangel from need a magnifying glass I think it's a really cool idea to find things that are outside their time period. It would be a good game if there were more variety in objects rather than all the items being modern. I didn't make it very far because I got tired of looking for really small objects off a list that I could barely read because the text was so small. Rated 1 out of 5 by Staje from This game made me all stabby I bought this because several people mentioned it was funny. I did not find it funny, I found it boring and repetitive. If you want funny try Vampireville or anything by that developer or the MCF games. If, on the other hand, you wish to get all stabby then by all means get this game. Join The Clumsys family vacation using Grandpa`s time machine. 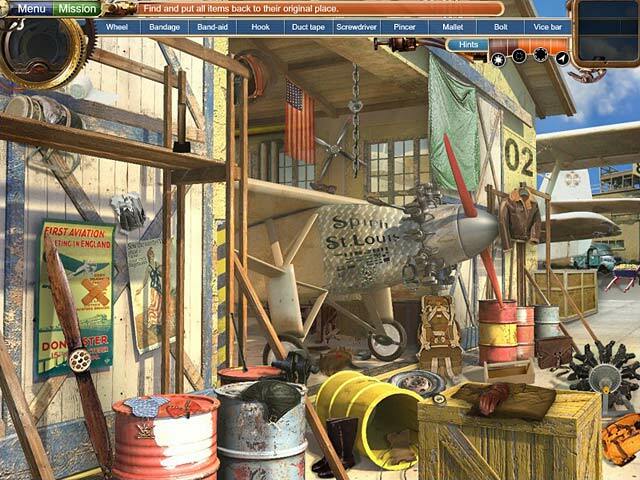 Detect items that are out of place in this historical Hidden Object game.